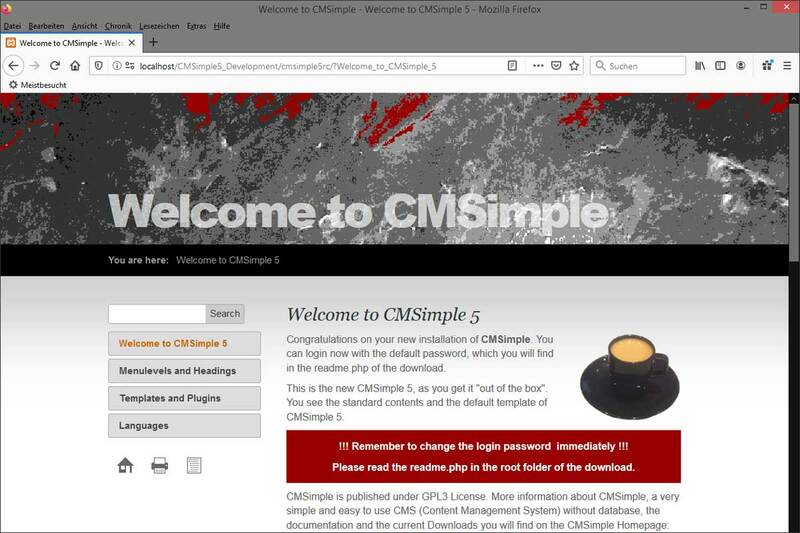 Here you can see some screenshots of CMSimple, click on the thumbs for a larger view. 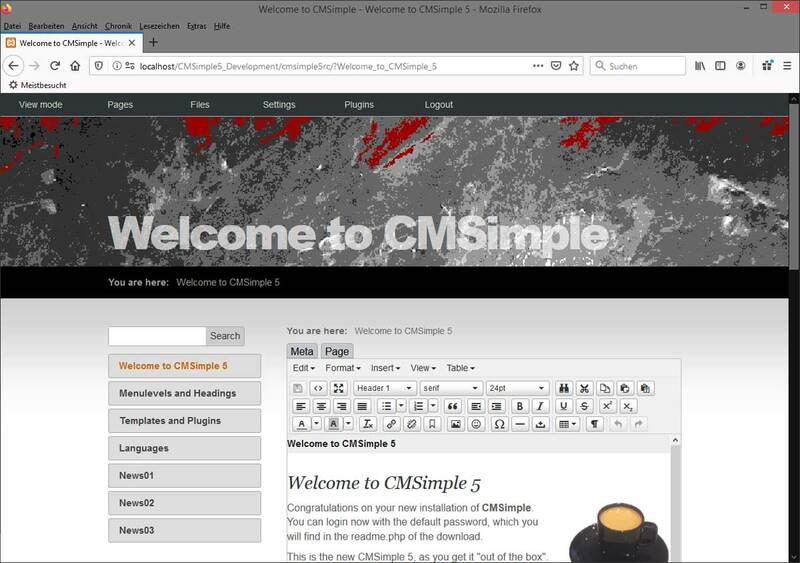 Here you can see the default template of CMSimple, delivered with all downloads of CMSimple. The page contents are edited in the default template, where they will appear in the frontend. So you have, already by editing, the look and feel of the page, like the visitor will see it. 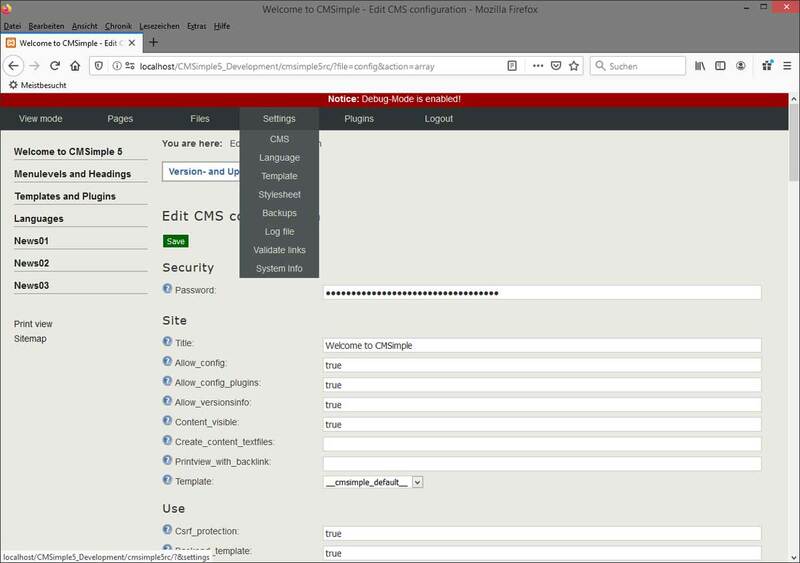 The system administration appears in a special backend template, with no header, clearly and with enough space, also for large tables.